This page contains two Physlets that are able to share data using the common superclass or all Physlets, SApplet. The temperature of an ensemble will increase if it compressed in an insulating container due to the work, P DV that is done on the gas. 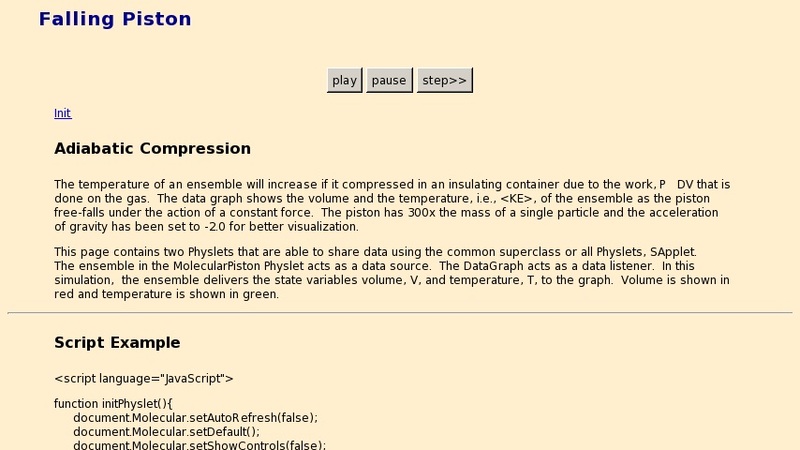 The data graph shows the volume and the temperature, i.e., , of the ensemble as the piston free-falls under the action of a constant force.